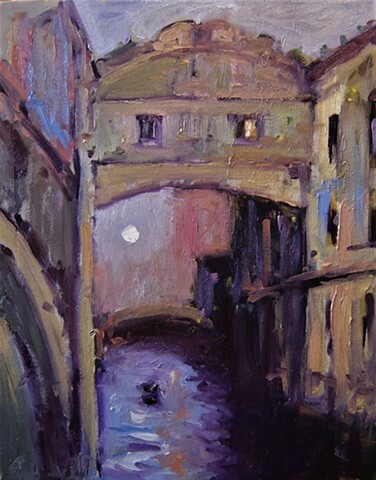 The view from the Bridge of Sighs was the last view of Venice that convicts saw before their imprisonment. The bridge's name, given by Lord Byron as a translation from the Italian "Ponte dei sospiri" in the 19th century, comes from the suggestion that prisoners would sigh at their final view of beautiful Venice through the window before being taken down to their cells. I used a quick direct approach to this one, focusing more on mood and feeling than architectural detail.